The best way they could have celebrated St. Patty’s Day, which just so happens to be BOTH Rachel & Chris’ birthday, was by doing a pub crawl and seeing Blake Shelton live. To top it off, Chris proposed during this fun event. We think it’s safe to say that this beautiful couple had one heck of an awesome year! This past weekend we got together for their engagement session. We were originally supposed to go to Chickies Rock, but the snow that we got changed our plans and we went to Conrad Weiser Homestead. There were still some trees that had nice color and the snow on the ground made for some really pretty shots. We love how playful and adorable Rachel & Chris are together. What a fun session we had! They will be getting married at Harmony Hall Estate on July 13th, 2019. 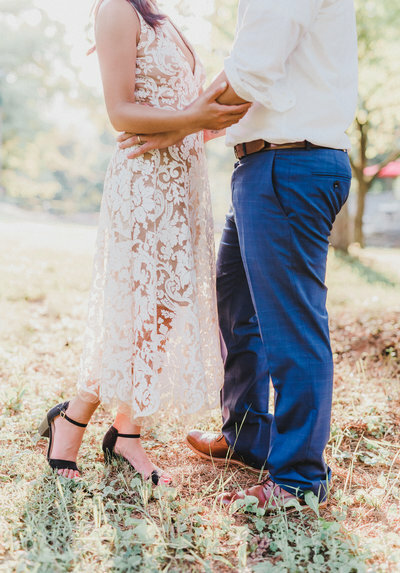 Their summer wedding will be so elegant and fun! We can’t wait to celebrate their marriage and to meet their families and friends. Congratulations, Rachel & Chris! Thank you for trusting in us to capture your sweet love! Edited in our Signature editing style.